It’s December and time once again to raise a glass to what will be the end of a rather polarising year. It was a year that brought us, among other things, Brexit and President Trump, leaving us all on the edge of our seats. With the press reporting daily on rising business costs and the uncertainty of a post Brexit Europe it may surprise you that many companies are feeling quite positive about 2017. Food companies in particular, who felt the initial squeeze of rising import costs back in June, are actually looking to become more profitable in the coming financial year. “I guess the upshot of Brexit was that it forced us to find more cost effective solutions to our manufacturing, such as food packaging. 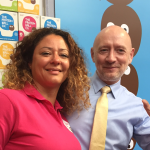 As the industry stabilises we will ultimately become more profitable as a result.” Nicola Amis from Pastry Pro EU. At Printsource we specialise in making quality printing solutions affordable, allowing companies like ‘Pastry Pro’ to weather the storm of post Brexit Europe while maintaining a quality product. Packaging has been a main focus of ours over the last couple of years. We have seen great opportunity in helping small to medium companies grow their business by offering them critical advice when choosing and manufacturing their packaging, as well as offering very competitive prices. Our services can help get your business ready for what is looking to be a positive and profitable year. Get in touch with our [email protected] or simply visit our website for more information. Printsource, make print easy, providing advice and guidance for printed packaging, marketing and fulfilment. Sourcing from our network of suppliers across the UK, Eastern Europe & Asia – Printsource deliver companies up to 30% savings, quick turnaround and complete control of quality. 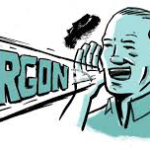 Parlez vous Jargon? Are you coming to this year’s SFFF?